There are at least five artists with this name: 1) An American Rapper 2) A Post-Punk band from Leamington Spa 3) A Swedish heavy metal band 4) A punk band from Orange County, California 5) A Finnish poprock group from the 80's 1) Saigon (born Brian Carenard, 1978) is an African-American rapper. Born in Newburgh, New York, He spent his upbringing moving between immediate and extended family members in Spring Valley, New York and Brooklyn as well as parts of New Jersey and Virginia. 1) Saigon (born Brian Carenard, 1978) is an African-American rapper. Born in Newburgh, New York, He spent his upbringing moving between immediate and extended family members in Spring Valley, New York and Brooklyn as well as parts of New Jersey and Virginia. He cites his mother's inattention towards him due to the new arrival of numerous younger siblings as being the catalyst for his roughly 15-year rebellious period. At age 11 he began selling marijuana and at age 13 he had joined in a neighborhood gang. By the time Saigon reached 15 he had already been involved in at least two shootings for which he received jail time. This would be his home for the majority of the next several years of his life as he was "raised" in the New York Penal System. While incarcerated, he took the stage name Saigon from the influential Vietnam War book ?Bloods? by Wallace Terry, which he read while he was serving time in prison. 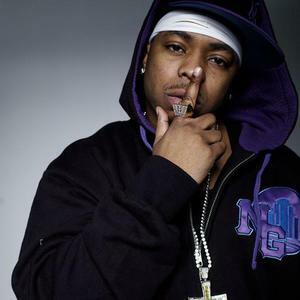 He is currently signed to Just Blaze's Fort Knox Entertainment record label and is working on his major label debut entitled The Greatest Story Never Told for a November 2006 release, which has now been postponed to a later unannounced date. He appeared on the second season of the HBO television series Entourage and this is credited as being a big boost to his career to the point where the mainstream U.S. population is beginning to recognize him as opposed to simply his previously small following. He also appears in the third season. He also performed separate tracks with both Australian hip hop MC Phrase and singer Daniel Merriweather in 2005. MTV News reported that on January 19th 2006, Saigon was stabbed in the temple with a beer bottle as he left a dinner in the Chelsea section of New York. A man approached Saigon and attempted to steal a chain of his, worth $18,000. When Saigon grabbed it back, a fight started. Saigon, bleeding from the head, tried to hail down a taxi (not wanting to get blood in his Mercedes Benz) but was unable to and drove himself to Bellevue Hospital where he received seventy stitches. 2) Saigon is also the name of an early 80's 3 piece Post-Punk band from Leamington Spa. Their music was released through First Floor Records. 4) Punk band from orange County California. Released a self-titled EP in 1981.